Cockpit Automation provides basic instruction in the use of cockpit automation equipment now prevalent in general aviation aircraft — GPS, autopilots, and other colorful displays for weather, terrain, etc. Cockpit automation is covered as it happens in an actual flight, from preflight, taxi-out, take-off, cruise, descent and landing. Ideal for both self-study and classroom use, this book provides step-by-step, common-sense instruction that teaches you to use your panel-mounted IFR GPS computer and other modern cockpit technologies, with particular emphasis on the Garmin G430. The fundamental skills you need are presented using simple language and familiar examples drawn from everyday flight situations. Each chapter ends with a practice session that can be used in a simulator program or an airplane at the local flight school. 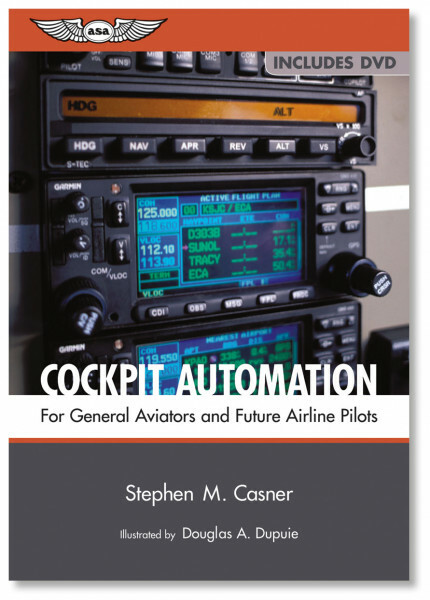 This book is the ideal prerequisite to The Pilot’s Guide to the Airline Cockpit and provides hands-on experience with cockpit automation in the airplanes pilots are flying today. Includes a bonus DVD (approximately 30 minutes in length) that demonstrates each of the skills covered in the book.